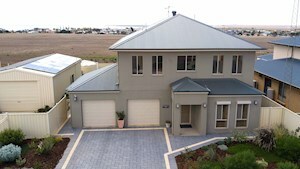 Copper Coast is a region of South Australia situated in Northern Yorke Peninsula and comprising the towns of Wallaroo, Kadina, Moonta, Paskeville Moonta Bay and Port Hughes. The area approximately bounded by Wallaroo, Kadina and Moonta is also known as the Copper Triangle. The area is so named because copper was mined from there in the late 19th and early 20th centuries, a significant source of economic prosperity for South Australia at the time. These three towns are known for their large Cornish ethnicity, often called "Little Cornwall". Kernewek Lowender is the world's largest Cornish Festival, held biennially in the Cornish Triangle. Past directs future as Lesley Wanganeen tells of Narungga Aboriginal Progress Association (NAPA) work to rediscover and celebrate heritage and culture through a range of innovative community projects. These include the commercial propagation and planting of traditional bush tucker foods and the recording of history and language. Buthera's Rock Story has been recorded in written form and is being used by the Toundi Aboriginal College to teach respect for the land to school children throughout the state. Greening Australia is working with NAPA to establish commercial bush tucker trial sites. Yvonne Latham, 1999 ANTA Aboriginal Student of the Year and a student of the Spencer TAFE is employed by CSRIO to develop site trials in Moonta. The Narungga community is investing heavily in education and training. There are proposals for the development of an Aboriginal Cultural Centre in Moonta and the establishment of a Coastal Bush Tucker Interpretive Trail between Moonta Bay and Port Hughes. In the 1840s the first European pastoralists settled Yorke Peninsula (YP). The landscape was predominately dry and featureless with much of the tillable land thick with mallee or tea-tree forest. There was no permanent watercourse. A culture of learning and adapting to change was essential and innovation was certain to follow. Many progressed from tent to stone dwelling and eventually to beautiful limestone villas that still dot the countryside. Sheep died in droughts, rents increased and later the government resumed run after run. Eventually the sheep vanished and in their place came a new, open landscape of golden wheat. The pastoralists and their families discovered pieces of copper ore. 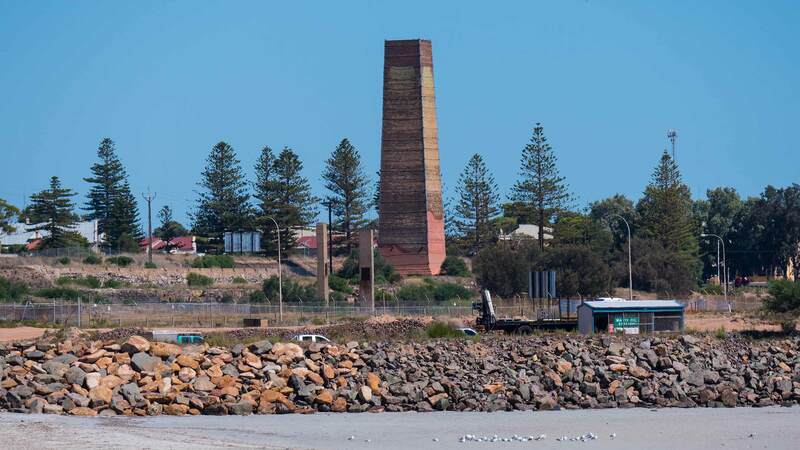 Between 1859 and 1861 deposits of exceptional quality and capacity were discovered at Wallaroo and Moonta. The discoveries stimulated the mass immigration of Cornish people seeking alternatives to the depressed Cornish economy. The unique geography of the Yorke Peninsula reminded the Cornish of 'their sea girt land of granite and moor' and also provided the same sense of Celtic independence and region that they had aspired to in Britain. The Cornish pioneers invested heavily in learning. Management of the Moonta Mines insisted on compulsory education for the children of the Moonta Mines before compulsory State education systems were established. Walter Watson Hughes and Thomas Elder donated 20,000 Pounds each toward the establishment of the prestigious University of Adelaide. The Moonta School of Mines was the first technical school in South Australia and helped develop the skills that assisted South Australia to become prosperous. Innovation in the face of adversity saw the first South Australian desalination technology developed in catchment pans not far from the site of the new Spencer TAFE complex! Wheat appeared on the horizon in the 1860s. History tells of crippling droughts, floods and then a timely boost from superphosphate. While wheat was the early mainstay the development of the barley industry this century has turned YP into the world's leading barley-growing district. Malting barley, used extensively in the brewing trade, plays an important part in the huge cereal crop exports. Today crop diversification into legumes, canola, chickpeas, field peas and hay has lowered risk and maximised returns. The region is known for best practise in agronomy and farm technology. Our primary producers have developed a strong culture of lifelong learning. Networks for support and the sharing of information and experience are well developed. Knowledge is a most valuable commodity. In adapting to a harsh and isolated region, early pioneers found necessity the mother of invention. The pioneers developed new farming methods and technologies including the famous stump jump plough which has its origin just outside of the council's boundary. As early as the 1970's the transfer of learning from the Yorke Peninsula had an international perspective. Dryland farming technologies that were developed in the area were exported to the Middle East and Eastern Europe. Today entrepreneurship and a spirit of innovation have seen the region grow into a dryland farming centre of excellence and international repute. Already there is talk of international conferences and the development of an International Farm Stay Program that will allow us to share our expertise and culture with the rest of the world. Because the bulk and tonnage of the regions commodities is so high shipping is essential to livestock, grain and mineral based industries. First small ketches and schooners found their way into improbable harbours then came glorious windjammers, steamships and finally the towering bulk carriers which now grace the Spencer Gulf horizon. The Shipping story led to the fine jetties, which grace our coastline and provide a Mecca for visitor and local alike. The Wallaroo Heritage and Nautical Museum and Yorke Peninsula Maritime Heritage Trail keep the legend alive.